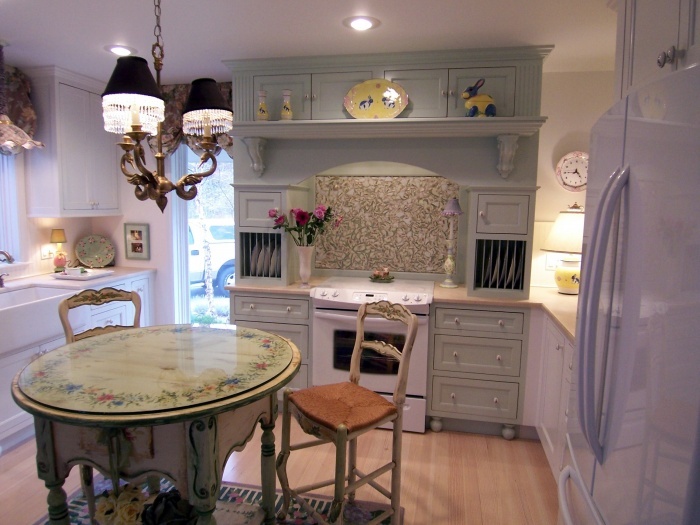 These beautiful mint green kitchen cabinets accent the home’s hearth look and feel of the kitchen range area. 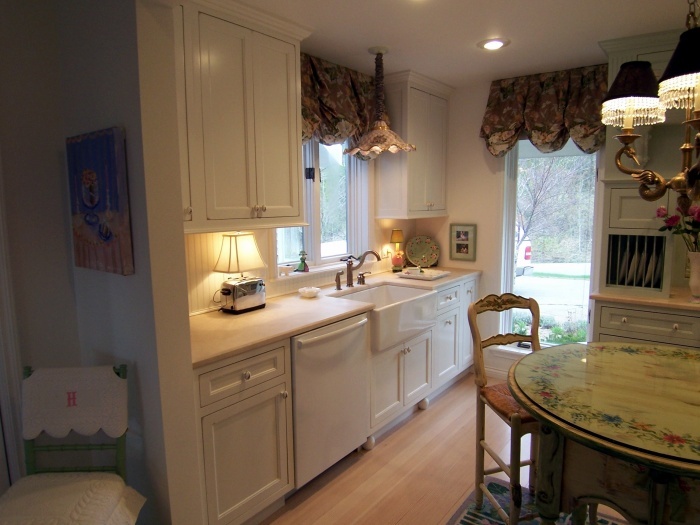 Gorgeous rubbed white kitchen cabinets with a furniture look maple island. 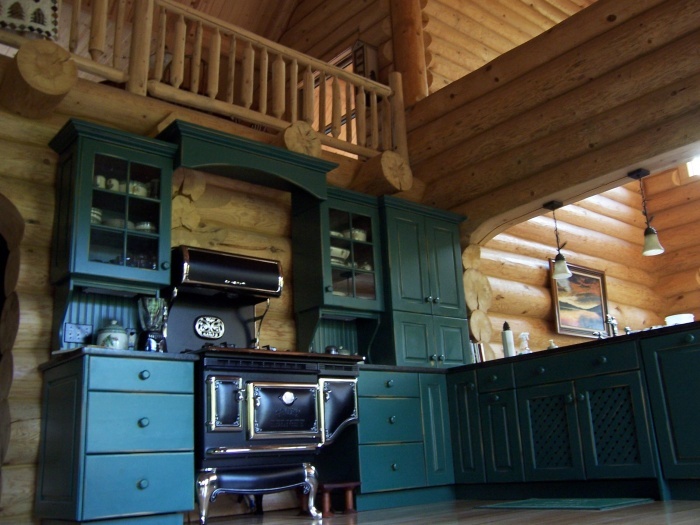 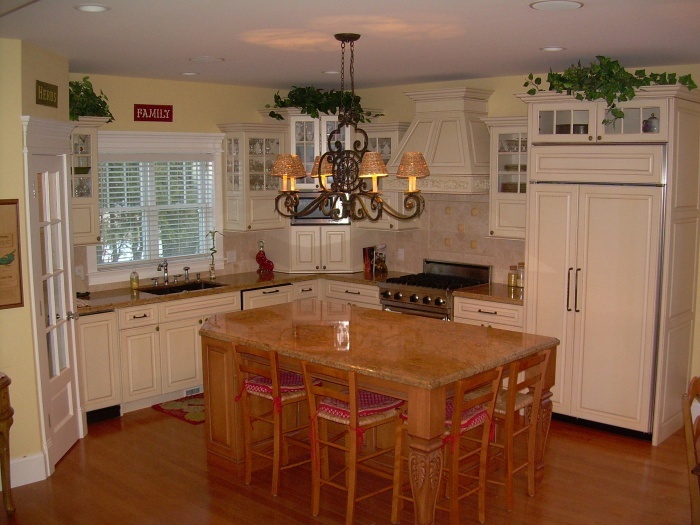 This spectacular log home kitchen features custom color raised panel cabinetry. 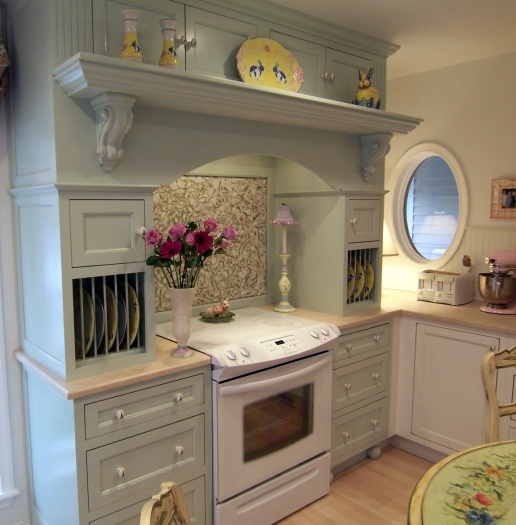 Also an Elmira 1865-ST range with nickel trim.